Digital advertising has become more and more targeted. It’s no longer enough to put an offer out into the world and hope the right person sees it. We all expect specific, personalized advertising tailored to our individual needs and wants. Our target audiences have narrowed further and further until we’re now targeting single men in between the ages of 25 and 40 who live within a certain zip code, listen to Mumford and Sons, have at least one dog, drink Starbucks daily, and have recently shopped online for backpacking gear. Identifying your target audience and how to advertise to them sounds exhausting. And it still doesn’t guarantee that your target audience combined with your advertising will bring you quality leads. So how do you know which car to advertise to each buyer to give you the best chance to close the deal? Let Programmatic Advertising do the heavy lifting for you. Programmatic advertising puts your actual inventory in front of prospective buyers. Who sees your ads is determined algorithmically based on the website the user is currently on, their historical browsing activity, their location, other vehicles or vehicle information they have searched, and more. For example, let’s say you’re a Nissan dealer. If Brad is researching updates to the 370z for the 2018 model year on an automotive website, and he lives near you, he might see your ad, even if he hasn’t specifically searched for your dealership. And it would be an ad for related cars you actually have in stock and could sell him today. How do you know if Programmatic Advertising is right for you? You know SEM needs help. Even if you’re executing it all exactly right, if you’re counting on everyone searching for your pre-determined search terms, you might be disappointed. Give them a little help. Show them a relevant display ad to get their interest first. You know people are visual. Showing them the actual car in your inventory will help them immediately connect and picture themselves driving it home in a way a year-make-model text description can’t. You’re ready to move on from basic Display Advertising. Like SEM, it definitely has its place in the mix. But do your basic display ads connect shoppers directly to a specific offer for a car on your lot? General branding and offers are important, but you can go a step better. You want to eliminate waste. Reach your ideal target, with the right message, at the right time. No more “here’s hoping” – you can be confident that your advertisement is engaging with the right prospects, increasing the likelihood of a return on investment. You want to cut through the noise. Customers are bombarded with advertising messages. Stand out by showing them what you know they care about, with all the additional information they may want (mileage and specs, payment options, etc.) just a click away. 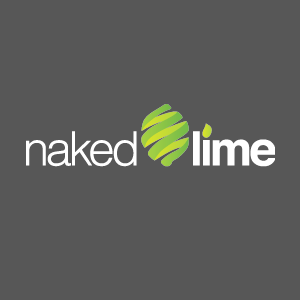 If you’re ready to get with the program(matic), contact one of our experts at 855.NKD.LIME or info@nakedlime.com.